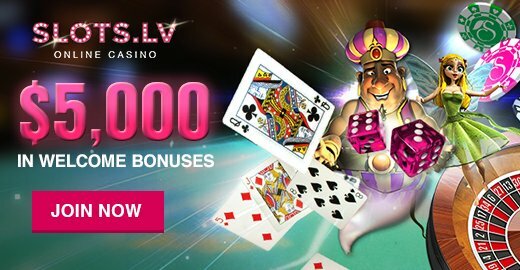 Welcome to OnlineCasinoBluebook.com, the best resource for online gambling and casinos. The website’s main purpose is to provide online gamblers with all they need to know about different online casinos; their pros & cons, the games they offer, their promotions and more. We also provide informative content about sportsbooks and poker rooms. OnlineCasinoBluebook.com is the best place for players to get any information about online gambling. All of the content that we offer is well researched through innovative approaches. We also make sure that the content is updated and fresh by continually enhancing our knowledge base. OnlineCasinoBluebook.com offers two types of reviews. There are casino reviews that are written and researched by our professional staff and ones that are published by our readers. Having two types of reviews helps our users with a way to see professional opinions on the casino, and then read the views of regular players so that they can form an in-depth and an accurate picture. These casino reviews are submitted, scrutinized and researched by our professional editorial staff. Having a process like this ensures that players get a neutral and a sophisticated look along with a solid base of comparisons between the different online casinos. Our casino reviews cover every single aspect of the casino. Including the quality of customer service, the software, the ease of use, the bonuses and the variety of games. OnlineCasinoBluebook.com gives our readers the power to publish content to give their opinion about certain games and casinos. Although the professional opinion might be more researched, personal user opinion can be quite useful, and users may find it easier to relate. It is also one of the best ways to help readers know if they should choose a particular casino or a specific game. There are thousands of online casinos on the internet with tens of new casinos entering the scene regularly. Having this many casinos can make it quite hard for new players to know where to play or even where to start looking. Online Casino saturation is why at OnlineCasinoBluebook.com, we provide players with a top 10 list of online casinos that lets them narrow down the choices. We also offer information about different casinos as well as gaming tips and guides. These guides and tips provide new players with the information they need to get started on their online gambling journey. These guides are provided as a way to encourage players to engage in playing at new casino websites by providing them with the simplest and clearest explanations on how to play, where to play and how to make the most in winnings. Visitors and readers of OnlineCasinoBluebook.com are more than welcome to contact us for any given reason, no matter how simple it is. They can contact us if they need to submit a review or need to complain about anything. Visitors will find different emails for various assigned purposes in the Contact Us section of the website.